"Wonder Woman" is the most anticipated film of the summer, an annual Fandango survey showed this week. It is also one of the most talked-about movies on social media. Studios have not gambled on a major release featuring a standalone superheroine since "Elektra" and "Catwoman" — both of which bombed more than a decade ago. Studio executives have long been out of step with the fan community on this point, said Alisha Grauso of Movie Pilot. "You also have male-led superhero movies that bombed ... but they kept getting made." Just days before its debut, "Wonder Woman" is gathering momentum, suggesting it could exceed expectations at the box office — and finally put to rest what analysts say is a tired notion: That audiences are reluctant to see female superheroes on the big screen. "Wonder Woman" is the most anticipated film of the summer, beating out titles such as "Spider-Man: Homecoming" and the latest "Pirates of the Caribbean" installment, an annual survey from ticket-seller Fandango showed this week. 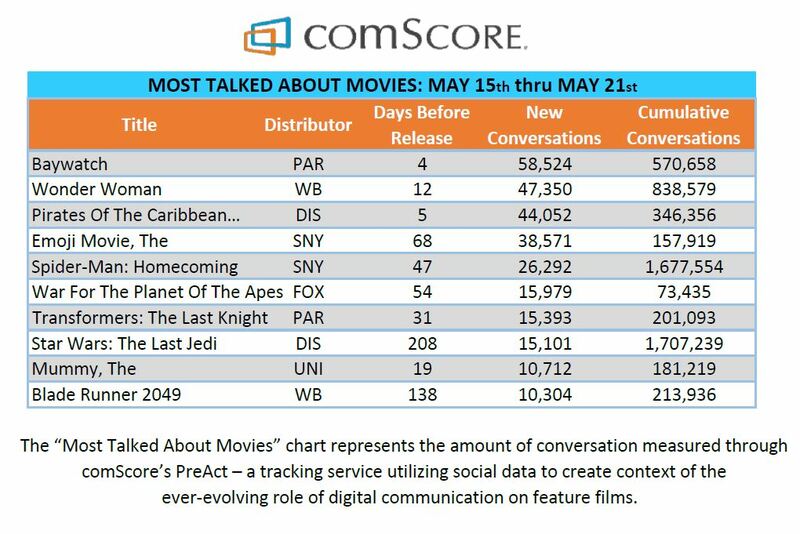 Meanwhile, "Wonder Woman" is also one of the most talked-about movies on social media. The latest tracking figures have "Wonder Woman" hauling in about $65 million in its North American debut this week, but some think that estimate is too conservative. BoxOffice.com currently forecasts a $90 million opening and believes it could be even bigger. "Strong social media buzz, generational awareness, and notable interest from women alongside the usual fan audience are driving our expectations beyond previously conservative levels," said Shawn Robbins, chief analyst at BoxOffice.com. "A domestic opening close to $100 million is looking more and more possible, and that may not even be the ceiling at this point." With an estimated $120 million production budget, "Wonder Woman" is the biggest bet yet on a film featuring a standalone female superhero. Studios have not gambled on a major release on a super-heroine since Twentieth Century Fox's "Elektra" and Warner Bros.' "Catwoman" — both of which bombed more than a decade ago. At least some influential executives have taken that to heart. In a 2014 email made public in a massive breach of Sony's communications, then Marvel Entertainment CEO Ike Perlmutter highlighted these failures, though the context of his comments was unclear. Analysis of social-media sentiment shows "Wonder Woman" is "more than holding its own in terms of generating as much interest as movies dominated by male superheroes," said Jonathan Cohen, principal brand analyst at Amobee. To be sure, those movies come out well after "Wonder Woman" is set to debut. Over the last year, however, "Doctor Strange" generated just 67 percent as much engagement as DC's Amazon warrior. "Logan," Hugh Jackman's final turn as Wolverine after 17 years in the role, had 21 percent more digital engagement. The failure of "Catwoman" in 2004 and "Elektra" in 2005 created a false narrative that audiences aren't interested in female-focused superhero films, said Cohen. But the idea that action films starring women can't succeed has since been proven false, he added, pointing to "The Hunger Games" franchise and "Suicide Squad," which largely revolved around antihero Harley Quinn. Hollywood has a tough time properly manifesting female superheroes on screen, but Warner Bros. has finally gotten it right with "Wonder Woman," said comScore Senior Media Analyst Paul Dergarabedian, who has seen the film. In his view, Warner scored a casting coup with lead actress Gal Gadot, and director Patty Jenkins has done the character justice. "Wonder Woman" could also be the movie that gets Warner Bros. on track after the first three films in its interconnected DC Comics universe were commercial hits, but took critical drubbings, said Dergarabedian. Movie Pilot's Grauso agreed, noting that the dark, gritty tone used in DC films has left fans divided. She predicted "Wonder Woman" could be a breakout hit with the broader public, because it strikes a more optimistic note at a time when Americans are being inundated with bad headlines. "She on her own is a very inspiring, uplifting character. It sends a really good hopeful, uplifting, inspiring message," she said. "Right now, I think that's something that fans and general audiences alike can rally around."